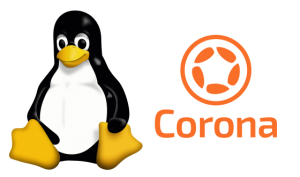 Corona Labs is pleased to announce early beta testing for Linux builds. With this feature you can use the Corona Simulator either on Windows or macOS to produce a Corona build that should run on Debian and generic x86-64 Linux platforms. We request that any observations, comments and issues be reported at those two locations. Note: This is using Windows and macOS to make apps that run on Linux. This feature is not running the Corona Simulator on Linux to make Android builds.